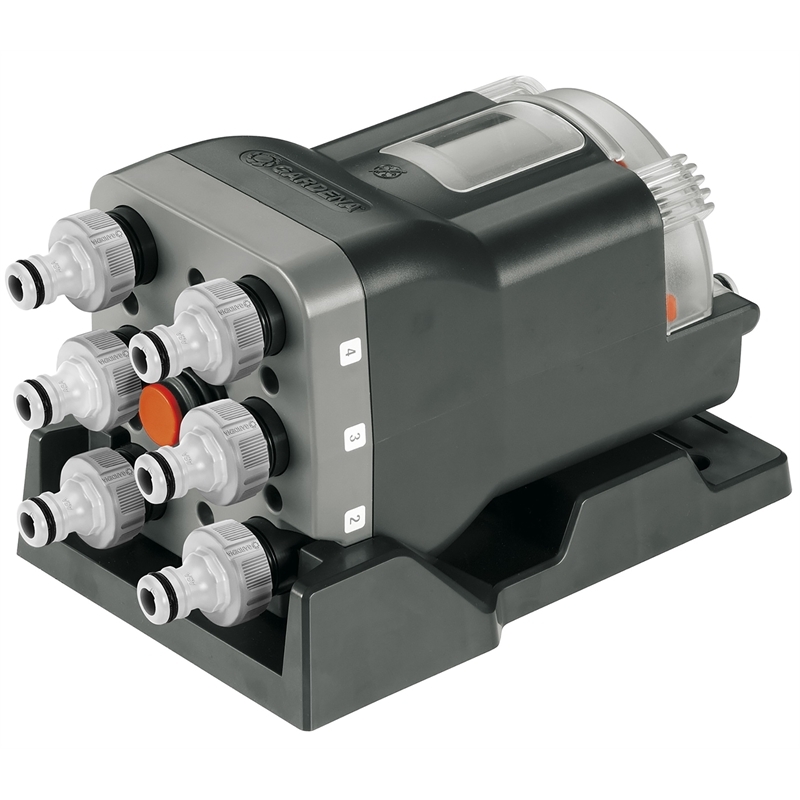 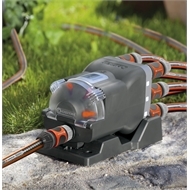 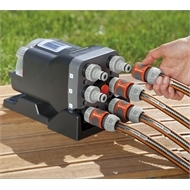 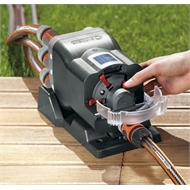 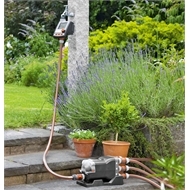 The GARDENA Automatic Water Distributor can be used manually or connected to a GARDENA MaxControl or MasterControl Water Computer and set up with up to 6 watering programs. 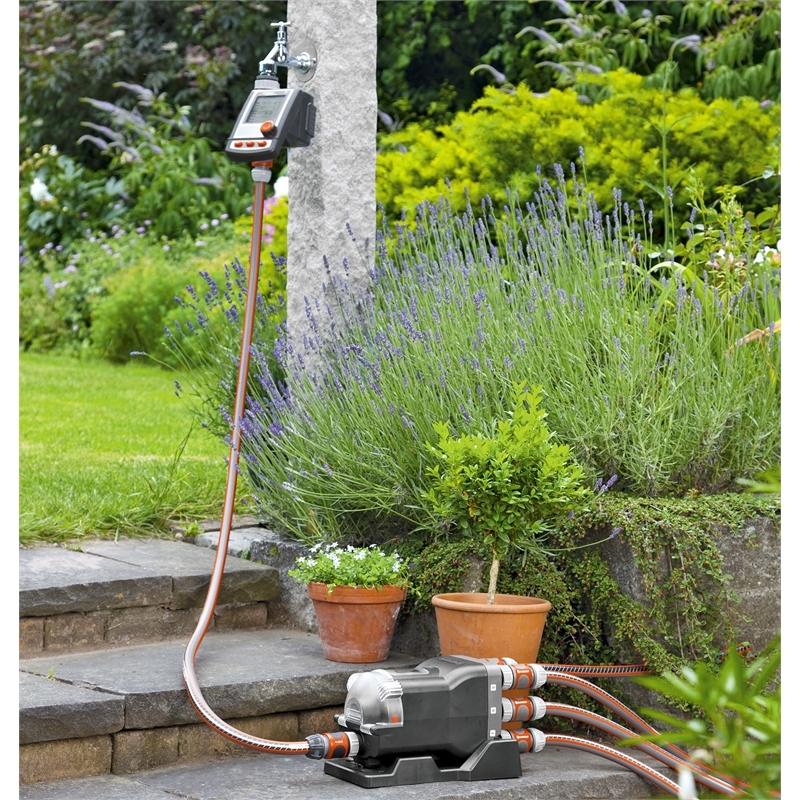 You can water any area, any day of the week for up to 3 hours at a time. 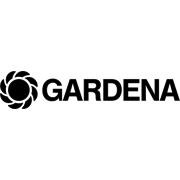 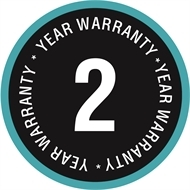 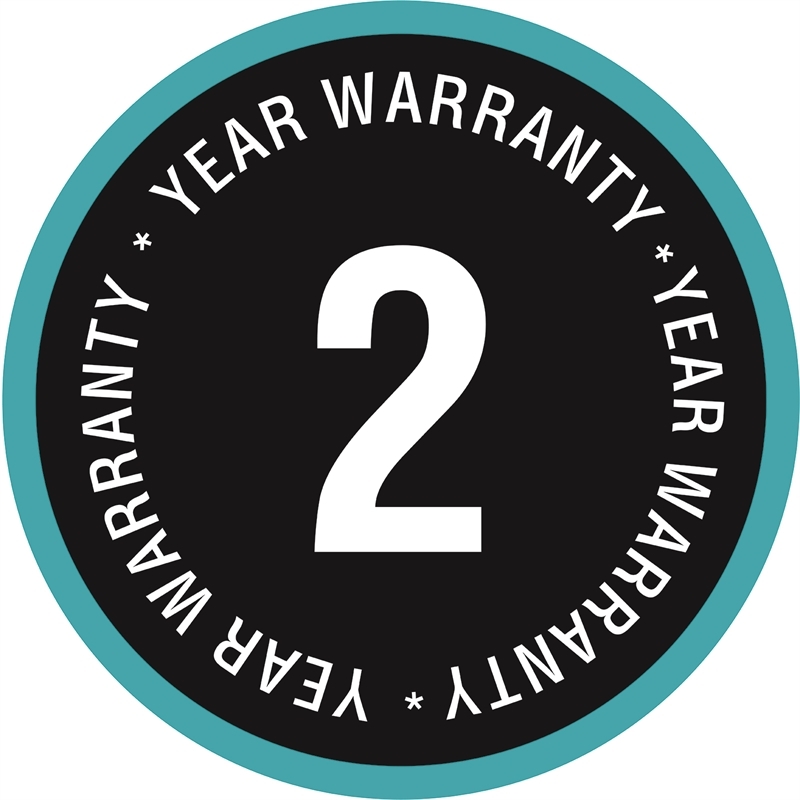 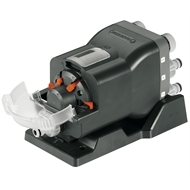 This product is covered by the GARDENA 2-Year Warranty.